With exposure to water, food and wine spills, knife blades, hot pans and more, counter tops must not only look good, they must be stain resistant, durable and easy to maintain. Here are some choices together with some comment. We have also added some browsing links to Houzz and Pinterest for visuals. By the way, although back splashes can be made from all of the counter top materials listed here, please go to the back splashes (link) for some other ideas. Natural stone is a durable material that stands up to the rough wear of an active kitchen. Plus the natural variations of stone in colors and textures make each counter top unique. The most popular stones are granite and marble, but limestone and soapstone are also commonly used. While durable, heat-resistant and long-lasting and a classic material that is always in style, it is naturally porous and requires sealing upon installation and regular re-sealing thereafter. The softer stone such as marble and limestone is prone to chipping or cracking. It is the most expensive of the counter top materials. 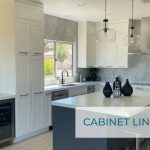 Quartz countertops and back splashes are engineered from approx 93% crushed quartz mixed with 7% resin to have the look and feel of natural stone. These surfaces come in a variety of colors, textures, and grain and, unlike natural stone, are available in uniform colors and patterns. The premier manufacturer is Cambria, with whom we have a close working relationship in the Palm Springs Desert Area. Cambria surfaces are just as heat, stain, and scratch-resistant as polished granite. They are easy to clean and do not require sealing or special care. Cost-wise Cambria is very competitive with mid-priced granite. Traditional polished granite is most people’s first choice for counter tops. It offers a high-end look while providing a durable surface. Granite is a natural material, so variations in pattern are common. This is very appealing but can make matching slabs tricky. For us this is the fun and fascinating part. We liken choosing granite in a slab yard to walking though an art gallery. Honed granite provides a soft, matte finish instead of the high gloss of polished granite. But it is just as durable and stain resistant as polished granite. Designers love the gray-toned veining in Carrara or Calacatta marble. The patterns are pleasing and disguise wear. However, although the cost is comparable to some granite, marble is more porous and prone to staining. Marble requires greater care and maintenance than granite. Soapstone is a non-porous natural stone with subtle veining available in a variety of gray tones. It is stain and bacteria resistant and, unlike other natural stone, does not need annual sealing. Regular applications of mineral oil help disguise surface scratches and gradually enhance the stone’s sheen and deepen its color. We mention limestone here for completeness but do not recommend its use as a counter top, especially in the kitchen (unless you don’t actually cook there :). It either reacts to or absorbs things like wine, juice, cleaners etc. It stains and scratches easily. It is fine as a decorative vertical surface but, in our opinion, too maintenance intensive and impractical to be a counter top. Laminate is the most economical counter top material. It is plywood or particleboard covered with a thin sheet of plastic. With new technology and edge treatments laminate can now look like stone, metal, or wood. It is popular with retro and mid-century styles. While it is heat, stain, and scratch-resistant and easy to clean, it is prone to permanent damage by sharp knives and hot pans. This damage cannot be repaired. Also due to construction constraints, one cannot use under-mount sinks with laminate countertops. Butcher block is the most commonly used wood counter top. However, crafted wood slabs are also available. Wood is a longtime favorite as bringing warmth and rustic charm to a kitchen. It is also a functional and attractive food prep area material that can be used in conjunction with other types of countertop. Wood is a long-lasting counter top material that develops a patina with wear. It withstands cutting and chopping but is vulnerable to heat, chemicals and stains. It also shrinks or expands with dryness or moisture. It requires ongoing sealing and maintenance. Bamboo, a recycled wood product, is eco-friendly, attractive and easy to clean. But it is prone to scratches and scorching. It needs routine sealing. Stainless steel countertops complement many of the larger kitchen appliances and tend to be found in more modern than traditional kitchen settings. Copper, pewter and zinc are stylish metals that are also used for countertops but less often. Metal countertops are durable, heat and stain resistant, and hygienic. However, they can also be expensive and are susceptible to scratching and denting. Glass comes in many colors and textures. It makes for a modern look, is non-porous, stain resistant and provides a very hygienic and easily cleaned surface. But it can be expensive. It needs to be tempered and at least 1″ thick for durability. Recycled glass is an eco friendly choice and comes in a wide range of colors and textures durable, heat- and stain-resistant, easy to clean. However, it can chip and scratch and even break if hit hard. Concrete can be tinted and shaped for great design effect. It is very durable and heat and stain resistant. However, it is very heavy, susceptible to acidic damage and requires routine sealing. Tile makes for an economical countertop and comes in a large variety of shape, color and texture that can be made to suit any desired style. While ceramic tile is resistant to moisture, heat, scratching and staining, tile can chip rather easily and grout in the joints is prone to staining and mildew. Grout requires routine cleaning and sealing. We like the look of granite tile when used with a very narrow grout line.